2011 has been a busy year that has seen a number of milestone developments in the websites. For many years I have worked on The Evangelical Quarterly in a piecemeal manner, adding a few articles at a time as originals became available to scan. This year I decided to make concerted effort to digitise at least the last 60 years and to contact the authors for permission to place them on-line. There are still a few gaps as a small number of authors declined permission and some did not respond but nevertheless a substantial proportion of the back-issues are now freely available. An unexpected bonus from the process of contacting authors was an introduction to a new journal – Scottish Reformation Society Historical Journal. I contacted the editor and now have a number of its articles on-line. The digitisation of the Indian Journal of Theology is now complete as far as I can take it, the remaining issues being unavailable for scanning at this point in time. If anyone can help to fill the gaps, please let me know. One project which proved extremely popular was the digitisation of the works of the late H.L. Ellison, thanks to the kind permission of The Paternoster Press. Ellison wrote a number of studies on OT history and prophecy, such as From Babylon to Bethlehem. The People of God from the Exile to the Messiah which have all received a significant number of downloads. I became a Christian at university and so owe a debt of gratitude to the work of the Universities and Colleges Christian Fellowship (UCCF). UCCF began in the UK as Inter-Varsity Fellowship and published a vast number of magazines for students from the 1920s (if not earlier) onwards. Its work, particularly among theology students through its specialist organisation Religious and Theological Students’ Fellowship (RTSF), had a significant influence on the development and spread of evangelicalism in the UK. 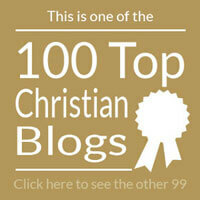 Many of the key Christian leaders of the 20th Century were impacted by it, including John R.W. Stott, Jim Packer, Michael Green, David C.K. Watson and Roger Foster. The early publications such as, Inter-Varsity Magazine and Christian Graduate later gave way to Themelios and the Tyndale Bulletin, which are still in production today. Although RTSF passed away a few years ago, its archive contains much significant material which is in the process of being sorted and catalogued. I have already begun to make some of it on-line, including some of the RTSF Monographs and TSF Bulletin, but hope to do more in this next year. Perhaps the highlight of the year came about through the digitisation of the Transactions of the Baptist Historical Society / The Baptist Quarterly. The opportunity to do this arose from my ongoing work in partnership with the Keston Institute placing Religion in Communist Lands and Religion, State and Society on-line and resulted in an article in The Baptist Times on the 5th August. Since completing the journal I have been asked to take on the digitisation of a similar journal published by another denomination – more details on this early next year. All in all the tenth year of the “Theology on the Web” project has been extremely productive and I look forward to seeing what 2012 will bring. A big thank you to all of you for your ongoing support, prayer and encouragement. 2010 has been an extremely busy year for the Theology on the Web websites, with a noticeable development from placing individual articles online to placing whole journals online as well. The following journals are now avialable on-line for the first time. The current incompleteness of some of these journals is an indication of how difficult it is proving for me to get hold of copies in the UK to scan. There has also been a shift from digitising western journals to making available those from the Far East. Given the increasing numbers of visitors from this region and the sites purpose in making good theological resources to those in the Two Thirds World this is a very welcome development. The following journals is available online, but I have added a tables of contents for it on biblicalstudies.org.uk in order to make access. On the 1st November I launched biblicalarchaeology.org.uk, which will provide resources on the vast field of Biblical Archaeology. Much work needs to be done to make the site the comprehensive resource I hope it will become. This year I also registered two more domains: reformationchurch.org.uk and gospelstudies.org.uk. reformationchurch.org.uk follows on chronological, of course, from medievalchurch.org.uk The subject matter of this period of Church History is immense and complex, so development is expected to take several years. gospelstudies.org.uk was registered in case it becomes necessary to increase the amount of material on the 4 Gospels beyond that which would easily fit into the structure of BiblicalStudies.org.uk comfortably. I have no timescale as yet for the development of this site. Early in the Near Year I am hoping to start work on the digitisation of the Transactions of the Baptist Historical Society and its successor Baptist Quarterly. I expect that these will take a considerable time to complete. 2011 marks the 10th Anniversary of BiblicalStudies.org.uk. A partial history of its development can be found on Archive.org’s WayBack Machine. I would like to thank all of my visitors for their encouragement and assistance over the years. Without your ongoing support this milestone could not have been reached. 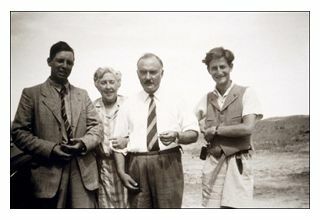 Left to right: Donald Wiseman stands next to his good friend Agatha Christie, her husband Max Mallowan, and Neville Chittick, while carrying out archaeological excavation at Nimrud.